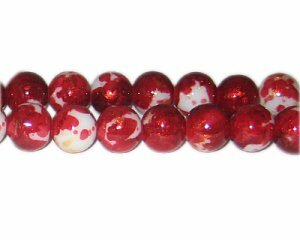 These are 12mm Deep Red GoldLeaf-Style Glass Bead, approx. 17 beads on an 8" string. Love the beads and prices. I am so happy that I found this site. I have been happy with everything I have ordered. And you guys get the order out fast.